Sea ice koncentration and drift for The Arctic Ocean. 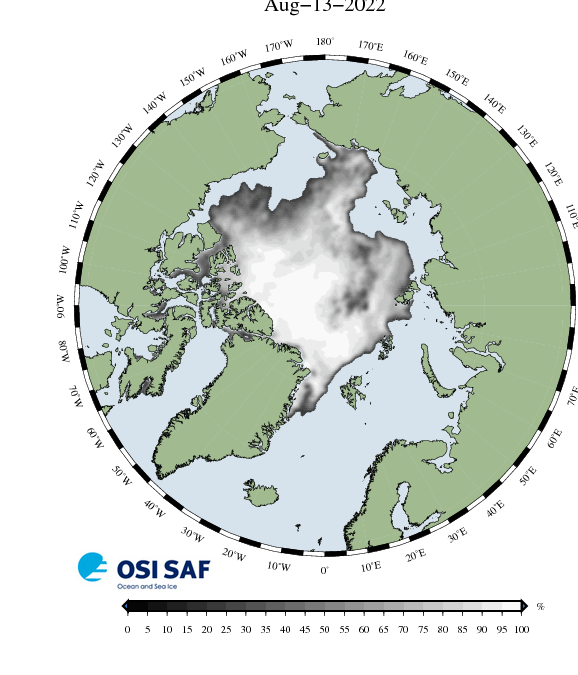 The animations shows The ice extent and ice drift in the Arctic Ocean for the past 30 days. All data are produced by OSISAF and can be downloaded here. Ice drift vectors during summer (Maj 1 to November 1) is a demonstration product. The summer motion fields are of lower accuracy and coverage than those processed during the winter season. Read more here.